The Lorax is one of Dr. Seuss’ lesser know, yet deeply powerful, parables. In the film adaptation of the 1971 book, Ted (voiced by Zac Efron) has a huge crush on Audrey (voiced by Taylor Swift). In order to impress her and win her over, he sets out to find her a tree. You see, trees no longer exist in the town. Grammy (voiced by Betty White) tells Ted about a mysterious figure who lives on the edge of town. He will know how to get a tree. The mysterious figure is the Once-ler (voiced by Ed Helms) who begins to tell Ted about his journey and his encounter with the Lorax (voiced by Danny DeVito). 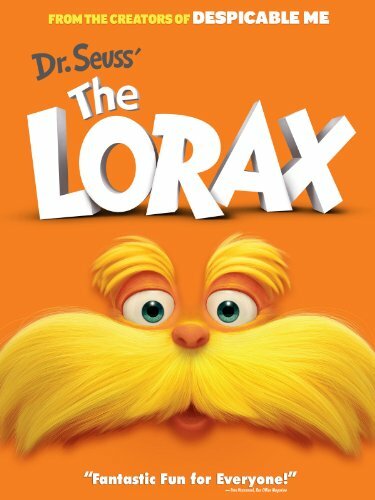 In case you missed it in 1971, The Lorax is about saving trees. Whether you call it being green or being good stewards of God’s creation, there’s no way around it. It’s about saving trees. But it’s about more than that. It’s about making decisions – good or bad – and the consequences of those decisions. And about how those decisions affect other people. The film isn’t great, but it’s not bad either. It’s an entertaining film from the creators of Despicable Me. Some of the more entertaining moments were from the dialogue-free forest creatures. Oh, yeah, and it’s a musical. You didn’t really get that from the trailer. Ed Helms as the Once-ler is great. Imagine an animated Ed Helms a la The Hangover with a guitar in hand singing songs that could have been easily adlipped and still great. There are a few awkard large ensemble pieces and are laughable (whether they were meant to be or not). The closing number, “Let It Grow,” is a gospeleque number that’s about letting the last Truffula seed grow into a tree. This number alone could viewed from a faith perspective as many more than just a tree seed. Ed Helms and Danny DeVito are great casting choices. Betty White was great as Grammy, but there just wasn’t enough Betty White. But, is there ever?